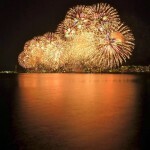 New National Fireworks Competition is an annually firework event in Suwa Lake, Nagano Prefecture. 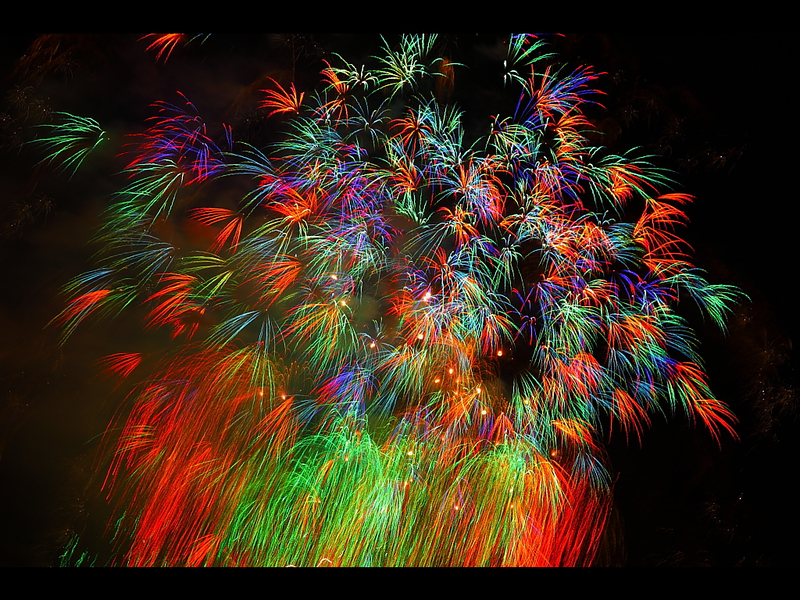 The fireworks makers launched their original fireworks, competing their technique and creativity. 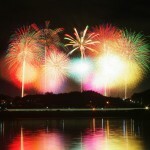 Time: 7:00 P.M. ~ 8:30 P.M.
Firework makers launch creative and artistic fireworks. Fireworks are accompanied by the theme song, so you can enjoy fireworks and the correlation between fireworks and the theme song. 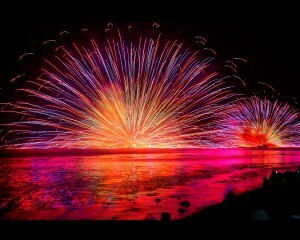 Star mines are launched in every five new fireworks show. 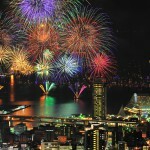 At the end of the fireworks event, special star mine will be launched. If you want to get the good-viewing spot and do not want to come to the venue very early, we recommend you to reserve the paid seat in advance. Ticket can be bought from LAWSON Ticket or Loppi.